Software Assurance benefits help you take full advantage of your investments in IT. 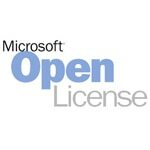 Software Assurance for Volume Licensing includes a range of benefits that span Microsoft software and services. Software Assurance helps boost organizational productivity with 24x7 technical support, deployment planning services, end-user and technical training, exclusive technologies and rights, and the latest Microsoft software releases and unique technologies—all in one cost-effective program. In the Open License program (also known as Microsoft Open Business or MOB), Software Assurance is sold in a two-year term.